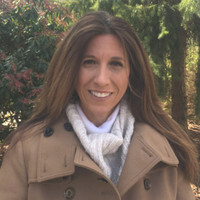 Deborah Bruno formed Direct Sales Recruiting with one simple concept: “learn the client, become the client and recruit as if you are the client“. She takes true pride in her skill and the environment she creates within her company, her clients and candidates. Clients soon realize they have a Win Win with her since her dedication is unparalleled in the industry. Her success started in 2001 with one client. Since then, Direct Sales Recruiting has grown to 100’s of clients and over 1000’s placed within the US and Canada. She has been very fortunate to have had the same clients for over a decade and has added new clients each year. Specializing in Sales and Management openings throughout the US, Direct Sales Recruiting has expanded our divisions with Direct HR as well as Direct Temps. Deborah started her career in IT / Configuration Management but realized her true talent was in Sales and People. She became a Top Award Winning Rep, Trainer and Sales Manager working for one of the largest Telecommunications companies in the World. She fell into recruiting and found her true passion – building Direct Sales Recruiting. She has a wonderful team of recruiters and looks forward to her monthly team building events. She holds a Bachelor Degree in Political Science from the University of Delaware. She also competed in Track and Field for two years. She has two wonderful boys who are extremely talented in music, arts and sports. Deborah started “Direct Gives Back” in 2012. Her company donates a portion of their revenue to the American Cancer Society each year in dedication of her father. An additional organization is selected annually by her team. She looks forward to working with more philanthropic organizations.